Houndrat.com » Blog Archive » Holy crap, it’s a new blog post! Holy crap, it’s a new blog post! No, this is not a figment of your imagination.? I’m actually writing a blog post.? Finally, I’ve finished editing, tweaking, and pretty much hashing to bits my manuscript, and I’ve entered the truly terrifying portion of the entire process–querying agents.? Eek.? There’s loads more research involved than I ever anticipated.? Like, some agents? 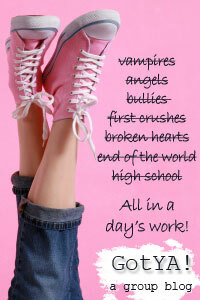 love chicklit, while others think it’s the root of all evil.? Some dig paranormal, while others prefer the term “urban fantasy”? (yeah, I’m not really sure what that means, either) or supernatural.? So basically, I have to tailor? my query letter to each individual agent.? Luckily, I found this amazing author through Kristen Nelson’s blog posts on query letters who actually responded to my shameless begging via email and assessed mine.? She even responded the next day, if you can believe it, and was unbelievably supportive.? Her name is Sherry Thomas, and her book Delicious is supposed to be great—hopefully she won’t mind me posting a link to it here. So, anyway, while I wait for my rejection letters to pile up, I’ll probably have more time for the little things.? You know, stuff like feeding the children, letting the dogs out, saying “hi” to my husband? on at least a weekly basis.? ? And, oh yeah, writing in my blog. Anyway, hopefully I’ll post photos of them here soon, and I’ll post a link to Ridgeback Rescue once their photos are up there. Jeez-Louise you just cracked me up!!! I saved your blog to my favorites. Your life sounds like a day in the life of Sherri. I am gonna try to figure out how to send this blog to MOTHER. She would love it. But I am so inept on the computer that I REALLY hope it ends up in MOTHER’S email box. I am the type that took a computer course “Introduction to Windows” at the local college and when the instructor said “So what’s on your desktop?? ?” I almost raised my hand and said “Ohhhh a glass of wine…..pack of cigarettes…….an ashtray…” So glad I didn’t raise my hand after I found out what a desktop was!!! You just keep us laughing hunny….Sell the book and it will be purchased. I was a stay at home mom as well, and it is much more challenging than any old job could be, AND a billizion times more rewarding. When I found out that my middle child was a child that anyone but a mother would abuse I quit my job. You hang in there hunny and know that there is someone out there that can relate to everything you are going through!! !